Photo collage is a piece of art created by combining photos. Digital photo collage eliminates the need of cutting and pasting printed photos, by using digital images to make a collage with software. It is extremely popular on Instagram and Facebook nowadays, as people can show multiple pictures in one image to make photos more meaningful & interesting. There are two distinctive types of collage: layout-based and shape-based collage. 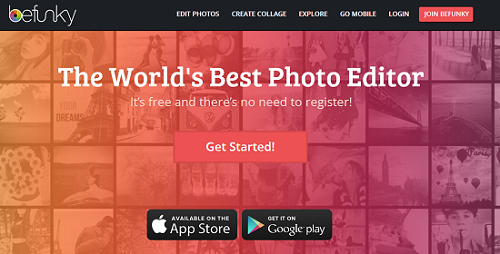 In this post, I have compiled a list of 13 best free online photo collage creator that are completely web-based (no downloads required). Do note that some of them require registration to create your own collage. Rated by PCMag as one of the top 100 websites of 2013, PicMonkey is among the best photo editor you can find online. With tons of free collage layouts and swatches, you can easily create a collage that suit your taste and needs. You can use photos from your computer, Dropbox, Facebook, Flickr, or even PicMonkey’s self-provided photos. Customization features such as spacing, corner rounding, and resizing are also available for free users. Photovisi is an easy to use photo collage maker. There are lots of free templates available from various categories such as love, fun, and weddings. You can change the background color, add background images or text, and edit the picture size or ordering. Lastly, you can download or share the collage on Facebook, Twitter, and more. No registration is required. Gorgeous user interface? Check. Awesome features? Check. BeFunky offers a versatile photo collage designer that allows you to create collages with ease. There are plenty of templates provided, as well as customization features like adding text, patterns, and shapes. Wish to use more editing features? You can easily switch to BeFunky’s online photo editor, which allows you to add effects and filters, crop, sharpen, blur, touch up, and more. Make a beautiful shape collage in seconds with Loupe. Firstly, grab your photos from the web, Facebook, Instagram, Tumblr, Twitter, or Google Drive. It’s disappointing that you can’t upload images from your own computer. Then, simply pick your favorite shape from their huge collection of shapes and click save. You can now download or share your shape collage. Picture2Life allows you to edit, collage, animate and share your pictures online. It has similar features with Photovisi, where you can add template, elements, and texts. Upload pictures from your PC by using its drag & drop function or pick photos from your favorite photo sharing service such as Flickr, Facebook, Photobucket, etc. Fotor is another free online photo editor. I am really impressed by its user-friendliness, as the web app is extremely easy-to-use and navigate when I first tried it. There are 4 different types of collage available for you to choose: template collage, photo stitching, free collage, and shape collage. You can easily create a perfect collage with various texture colors and borders to choose from. Kizoa is a slideshow maker, collage creator, and photo editor website. There are 2 ways you can create a digital collage: choose one of Kizoa’s templates or make a collage from scratch. It has quite a number of free templates, which are suitable for those who wish to make a basic collage in minutes. Else, you can learn how to make your own custom collage by going through a great step-by-step tutorial by Kizoa. Collage.com has more than 100 collage shapes from different categories like animals, places, romantic, travel, and family. Simply choose one of the collage shapes and add photos from your own computer or Facebook account to make a photo collage instantly. Then you can share the image file to anyone on the Internet. To download the collage, you have to pay for it. Collage Maker makes creating a collage becomes amazingly quick and easy for everyone. Select a background and image resolution, upload your own picture, add text, and you are ready to go. All done within a minute. At piZap, you can make a collage, edit a photo, make a Facebook Timeline cover, add effects to your web cam photo, and more. Its collage generator is surprisingly good, as there are tons of collage styles and some features that others don’t have. I like its ability to upload photos from web cam, and it has a cut out tool to crop faces. Besides, you can add text, stickers, frame, and even a MEME! 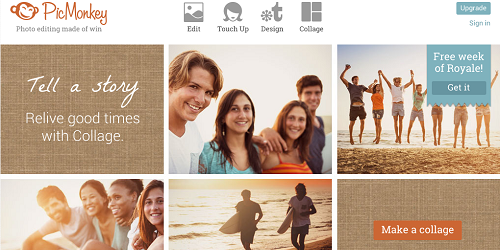 At photo collage, you can upload photos on their site to create photo animations, photo slideshows, and collages. To create a collage, firstly you have to create an album and upload photos on the album. Then, add photos or background images on the canvas from your album and save it on your computer or your online account. Ribbet is an online photo editor that allows you to store all uploaded photos in the cloud. You can get photos from computer, Flickr, Facebook, or any websites. It has some advanced features such as effects, text, stickers, touch-up, frames, and a lot more photo editing tools. Sharing and downloading are free, but only 12 collage styles are available for non-premium users. Picisto is a simple photo collage and vision board creator. It is incredibly easy to make a basic collage with Picisto: choose a layout, upload photos, add text and shapes, and share with your friends. However, do not expect to create a stunningly beautiful or professional looking collage by using Picisto’s online tool. You should consider downloading a free collage creator software on your computer. A photo collage software generally has more editing features, higher quality collages, and smoother user experience (especially to those who have slower Internet connections). CollageIt is one of my favorite collage maker software, which is an extremely easy-to-use and fun photo collage creator that allows you to generate gorgeous collages in minutes. After choosing a template and adding photos, you can easily change the layout and look of your collage with some of its handy features: auto rotate, auto sparse, random layout, and shuffle. With these features, you no longer have to reposition or rotate every single photo to customize the layout of your collage. Simply click on the buttons and drag the sliders to generate hundreds of different layouts instantly. You can also change background color/image, adjust space and margin, add photo frame with customizable color and width, add photo shadow, and more. 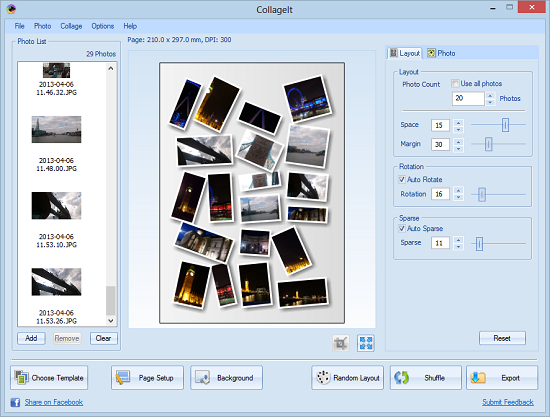 Also, CollageIt allows you to create larger and higher resolution images, which are more suitable for printouts. Great way to quickly get an overview of what’s out there. Thanks! Thanks for all of the information! I do a newsletter for my special needs class each month and am really looking for a collage maker that I can use to make a 11×14 collage, add text to the photos and then save it as a PDF to send to our district print shop. Plus, it helps if it is free as I am the one who will be paying for it. Any suggestions? Im looking for an off line montage maker like livepix. Needs the following features… Any suggestions. Able to set canvas size to standard sizes (A4, A3) or a custom size. Able to handle manual cropping via manual point and click point by point. able to move pictures up and down layers. Needs to be simple to operate ( a single picture insert to canvas, point by point crop, feather, position and set layer should be possible in 90 seconds. – This site now works on all devices and platforms: iOS, Android, PC, Mac. – Create facebook or google+ header collages. 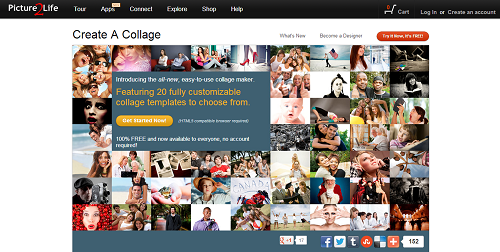 – Free form collages or select from predefined templates. Thanks for the suggestion Sanu. Your collage maker looks good, keep it up! There are some good pc application of photo Collage Maker, would you plan you to write something about that. I know this one, it has win and mac version. I was searching some tools where I can make collage of 50 pictures! Can you please recommend any site for this?